The bosses are back. This week, CBS announced Undercover Boss will return with new episodes in May. The reality series is currently in the middle of its seventh season. The new episodes of Undercover Boss will feature the CEOs of a real estate company, an LGBT-friendly hamburger joint, and Wienerschnitzel going undercover at one of their facilities. Additionally, CBS is celebrating the series’ 100th episode with two back-to-back new episodes airing on May 22nd. 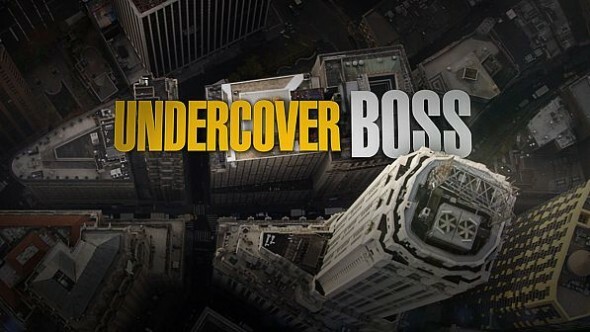 Undercover Boss returns on May 15th at 9 p.m. ET/PT. The seventh season of UNDERCOVER BOSS returns with four Sunday episodes and one special Friday broadcast, beginning Sunday, May 15, on the CBS Television Network. The series’ 100th episode airs Sunday, May 22. “Hamburger Mary’s” – Identical twin brothers Ashley and Brandon Wright are co-owners of this flamboyant franchise of LGBT-friendly restaurants, serving gourmet burgers and cocktails with a side of sass, along with drag shows and nightly entertainment. “United Real Estate Group” – Dan Duffy is CEO of this real estate franchise, serving residential metropolitan markets and idyllic lifestyle and investment markets with 570 units spanning the U.S. and markets around the world. Sunday, May 22 **Two back-to-back episodes, starting at a special time. “Wienerschnitzel” – Cynthia Galardi-Culpepper is CEO and Chairperson of the world’s largest hot dog chain and home to America’s favorite chili dog with more than 330 locations throughout the U.S., Panama and Guam. “Golden Krust Caribbean Bakery & Grill” – Lowell Hawthorne is President and CEO of this family-owned manufacturer, distributor and franchisor of Caribbean-inspired cuisine, with 120 locations in nine states, and frozen products in 20,000 supermarkets nationally. “AdvantaClean” – Jeff Dudan is CEO and Founder of this Light Environmental Service franchise company that helps make homes clean, safe, healthy and energy efficient. What do you think? Do you watch Undercover Boss? Will you watch the new episodes? More about: CBS TV shows: canceled or renewed?, Undercover Boss, Undercover Boss: canceled or renewed?